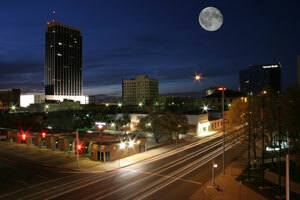 Amarillo is home to nearly 190,000 residents making it the 14th largest city in the state of Texas. There are many effective advertising opportunities throughout the city including the world’s largest helium field. This tourist hot spot draws in hundreds of visitors every year that you can capture with out-of-home advertising. Utilize other outdoor advertising near other attractions like the Cadillac Ranch and the Big Texan Steak Ranch. Target your audience with digital signage advertising inside the Amarillo Museum of Art or the Don Harington Discovery Center. The major highways that service the city also provide billboard possibilities. Billboards on I-40 or US 66 would generate high traffic exposure of your business. Zip Codes: 79101, 79102, 79103, 79104, 79105, 79106, 79107, 79108, 79109, 79110, 79111, 79114, 79116, 79117, 79118, 79119, 79120, 79121, 79123, 79124, 79159, 79160, 79163, 79164, 79165, 79166, 79167, 79168, 79170, 79171, 79172, 79174, 79175, 79178, 79180, 79181, 79182, 79184, 79185, 79186, 79187, 79189.